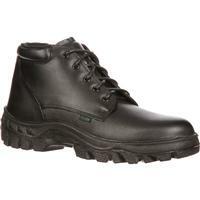 Rocky® TMC Postal Approved Duty Shoes are designed with a focus on Technology Made Comfortable. These men's shoes are approved by the U.S. 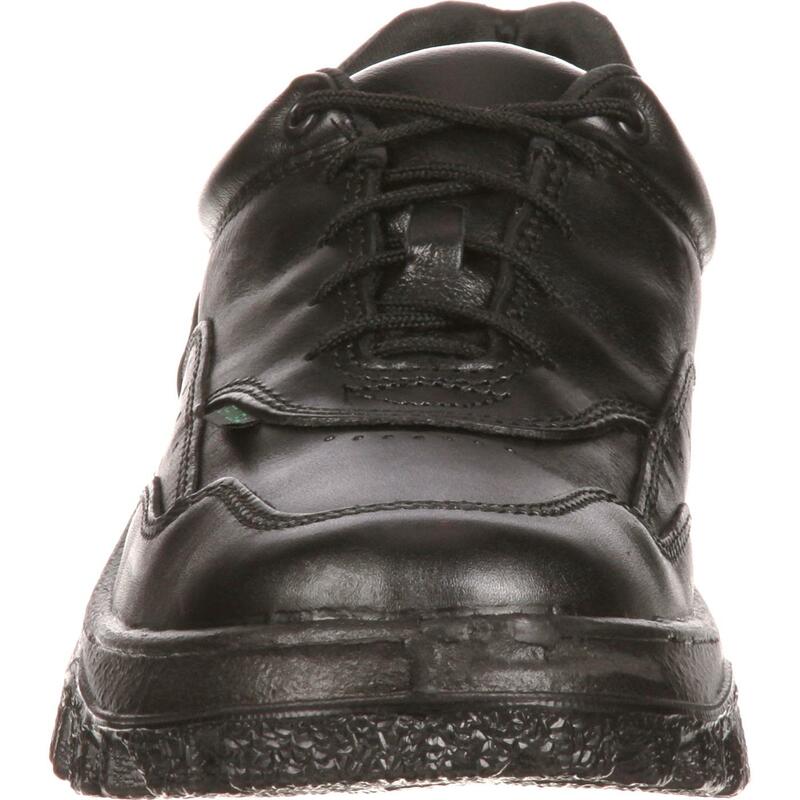 Postal Service for use by its employees; but whether you are a postal worker or just someone who wants comfortable duty shoes, get these. 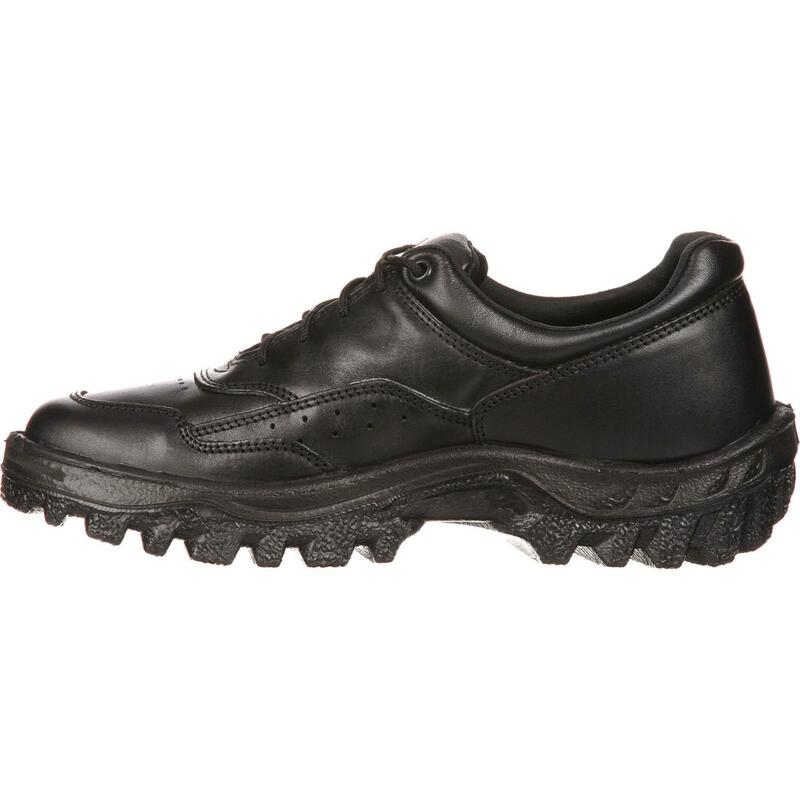 You may have just found the most comfortable shoes for standing or walking all day. 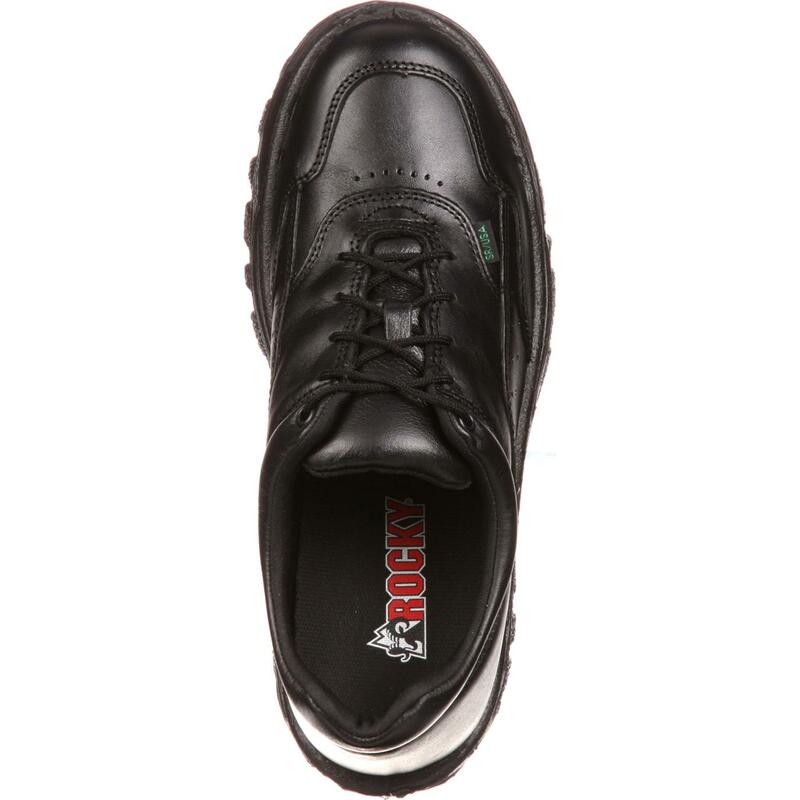 These Rocky shoes are made in America and are Berry-Compliant. 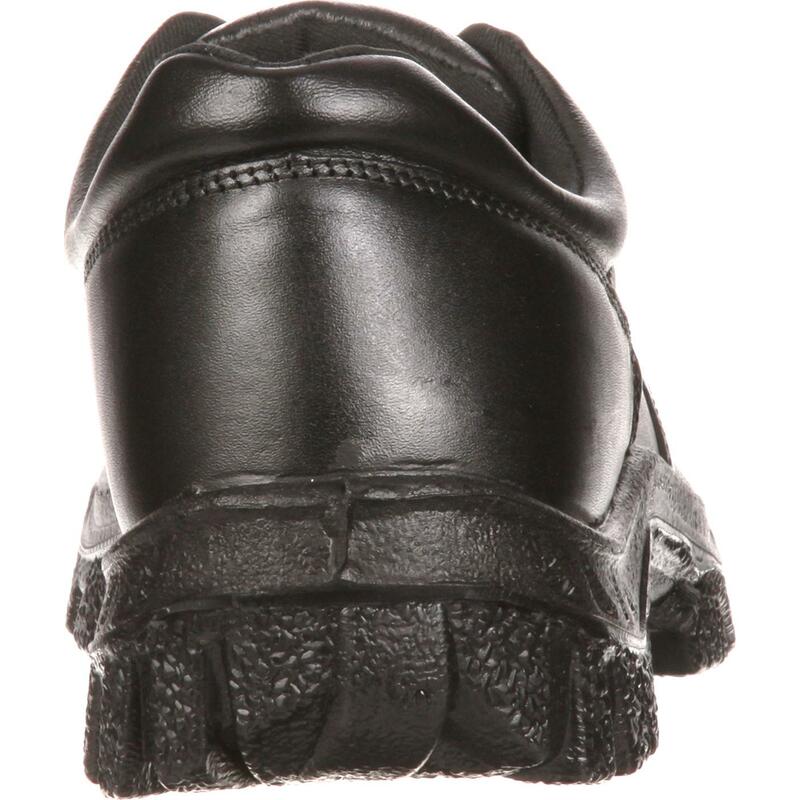 The black duty shoes have a special Technology Made Comfortable direct attach outsole. 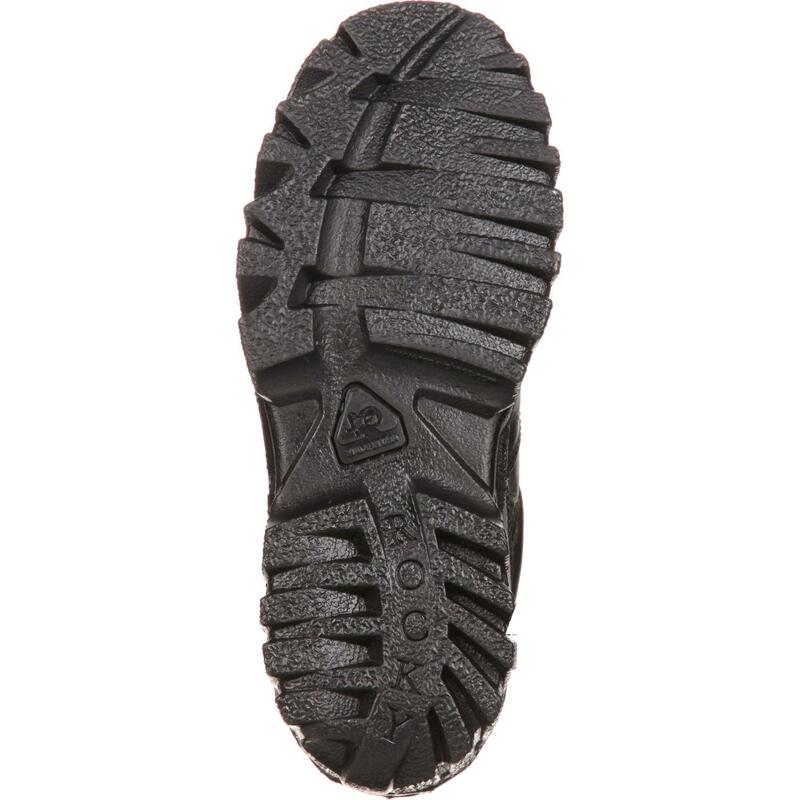 This is a TPU/PU outsole designed for stability and flexibility. 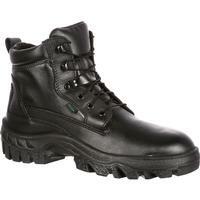 It's slip-resistant and oil-resistant. 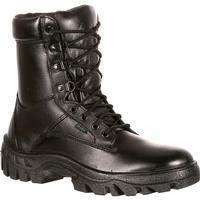 A non-metallic stabilizer provides additional support and comfort. 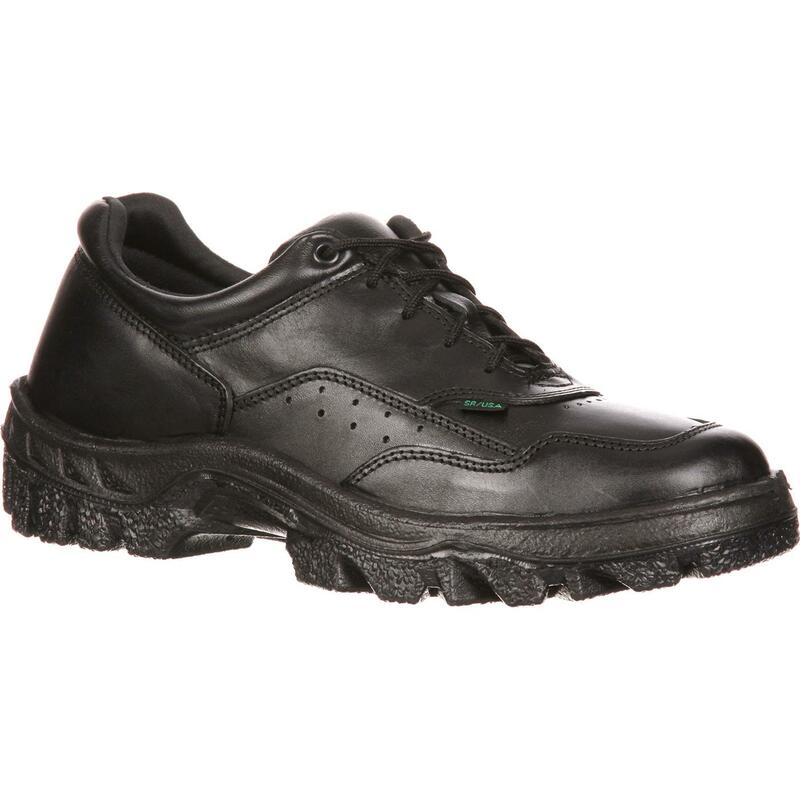 These men's black shoes are made with an Aegis Microbe Shield applied to Rocky Air-Port™ footbed. The combination helps feet stay dry and comfortable throughout the day, allowing air to flow and providing a cushion insole. 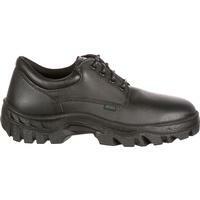 Made in the USA with full-grain leather, these are water-resistant duty shoes that can be polished.